Without a doubt, the quality of your vehicle’s motor oil is one of the most important elements in keeping your car running reliably. While this may be, it is often times one of the most overlooked factors in car maintenance and something that people let go longer than they should. Letting your oil change stretch out or skipping over them entirely can damage the engines internal components and shorten its lifespan. Thinking of going past that sticker in the top corner of your windshield? Here’s a quick look at what can happen if you do. At its most basic purpose, motor oil lubricates the moving parts of your engine. Without it, metal-on-metal parts would generate so much heat and friction that they would weld themselves together and seize the engine. According to Pennzoil, today’s motor oil is designed with special additives that coat moving parts and helps reduce drag, which helps your engine operate efficiently and quietly. Along with providing lubrication for your engine’s components, motor oils today are designed to prevent sludge build up and keep dirt and debris from collecting on the inside of your engine and causing blockages and damage. Your engine’s oil system has a filter that collects the dirt from the oil and extends its lifespan but in time, the filter will fill up and clog causing the oil to bypass it. 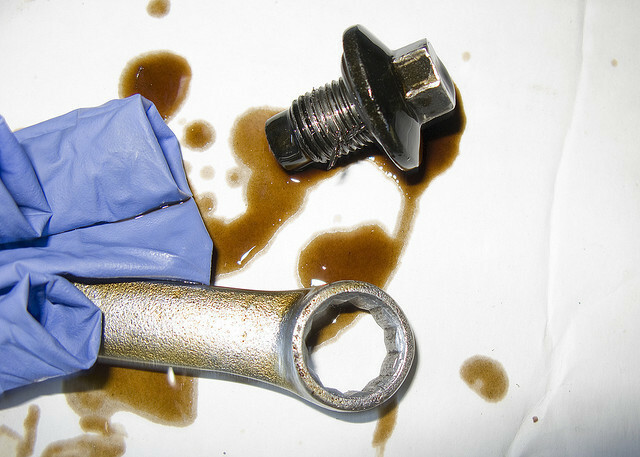 The dirty oil and the debris within can be abrasive and damage parts more than it protects them. When it comes to corrosion, think of your engine like the Tin Man in the Wizard Of Oz. Motor oil lubricates and cleans your engine but it also protects it from corrosion and oxidization which can eventually cause damage to its moving parts. A regularly scheduled oil change ensures that the oil in your engine keeps your engine from building up corrosion, which could damage it. Your engine’s oil also acts as part of its cooling system in a sense. By drawing heat away from extra hot areas such as pistons and cylinder heads, the oil spread the heat more evenly throughout the entire engine and allows the coolant to draw it away more efficiently. Changing your oil regularly ensures that the oil is stable enough to consistently move heat away from specific areas and keep them from warping or breaking down entirely. Changing your vehicle’s oil regularly may not be the first thing on your mind but it’s crucial to keeping the engine running in top form. The oil within helps lubricate moving parts, cleans dirt and debris, prevents corrosion and helps transfer heat away from vital areas of the engine. For more information on oil changes, see your local Mr. Clean Car Wash & Oil Change Plus and check the Promotions page for savings on your next oil change.